Suffolk House Antiques | Two good old fashioned pieces of early oak. TWO GOOD OLD FASHIONED PIECES OF EARLY OAK. Both these pieces would look wonderful in any early house, but equally they would work as stand alone pieces in a modern environment. 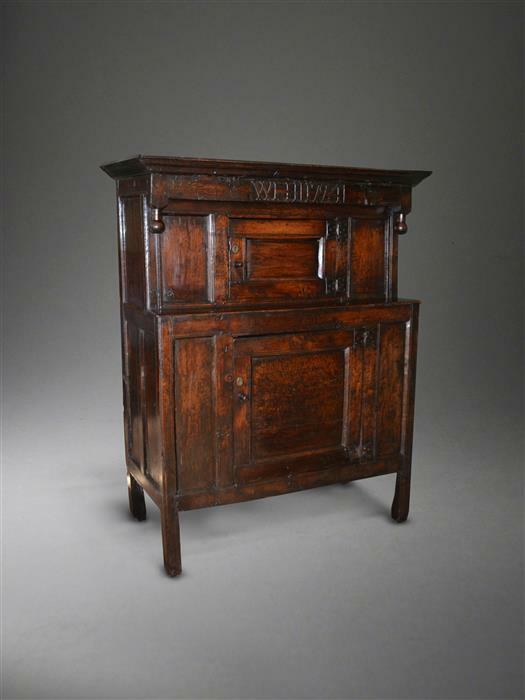 The press cupboard, which is dated 1724 and bears the initials WHI (the I probably a J), is of panelled form and has stunning colour. £3450. 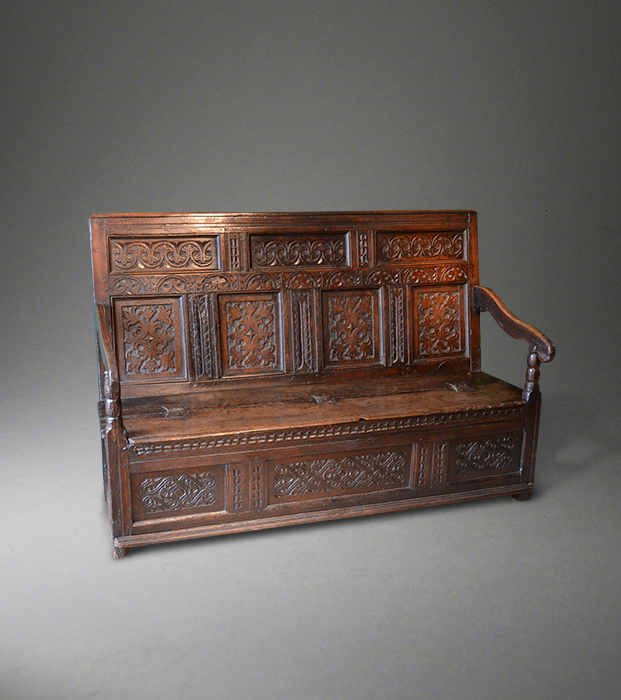 The mid 17th century oak settle, which is probably North country, has fine quality carving on the seven panelled back and has a lift up seat held by its original butterfly hinges. SOLD.